Deciding how best to go about running additional analyses and integrating catastrophe modeling output into a reinsurer’s own internal analytics system is no simple matter, and the consequences of getting it wrong can be significant. According to McKinsey, 71% of large IT projects (those with price tags exceeding USD 15 million) face cost overruns, and 33% run at least 50% over budget. In our previous blog, we explored how taking a DIY, “build” approach can be costlier than you think. The build approach comes with its own benefits, most notably from having the ability to maintain complete control over what you develop and—if you are building a reinsurance pricing system—ensuring that you’re able to retain your secret sauce. 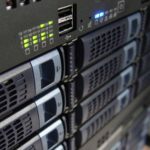 However, in building from scratch a host of upfront costs are required right away, from CPU and networking to storage and cloud computing options—and these are decisions that cannot be made lightly. In addition, there are the hidden costs of your technical teams continually needing to maintain what they’ve built—assuming they got it right the first time. In reality, you may not include every feature you need right away, and that will require more iterations, and more expenses that you may not have anticipated. That ability to iterate is often highly dependent on your ability to retain your company’s star program managers and developers for the long term. So, does that mean you shouldn’t try to build? Not necessarily, but to avoid the risk of having your shiny new tool quickly become an obsolete “legacy” system let’s explore your other options. Off-the-shelf or pure “buy” solutions can have multiple benefits, including the ability to contain costs, less reliance on internal team member retention, and scalability. They can also have a rich user interface and guided pre-built workflows, and the advantage of having been thoroughly tested. In many ways, off-the-shelf solutions can be beneficial and “level the playing field” because any reinsurer can use them. Of course, what you give up when you go with the pure “buy” approach is the ability to truly customize the solution while retaining your secret sauce. So, should you build or should you buy? Thankfully, there’s a third choice—the “Hybrid” option. 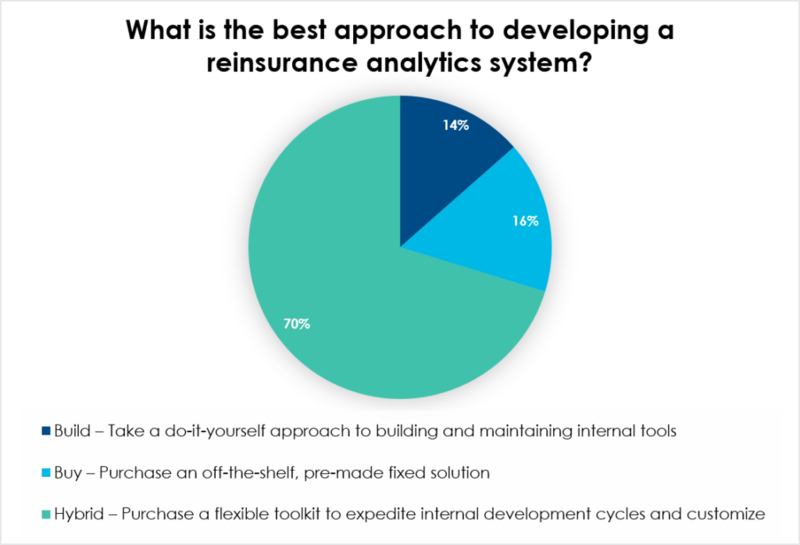 A hybrid option is a flexible toolkit that can be leveraged by internal teams to shorten development cycles and focus on the most critical parts of the project. A hybrid solution is for the reinsurer who wants to retain their secret sauce, seeks flexibility and scalability, and is looking to do just enough to get results without undertaking massive IT projects or risking their star developers leaving. Hybrid options recognize that one size does not fit all; they are modular, scalable, and flexible. Although there is some assembly required, hybrid options don’t just level the playing field, but tip it in your favor, providing you with competitive advantages. In developing Analyze Re, we’ve done just that. Analyze Re is a flexible, API-first, cloud-based SaaS platform that serves as an analytics library you can call up to compute calculations in seconds, and it offers templates solving use cases from pricing and marginal impact of an individual contract to portfolio roll-up. We’ve seen some of our clients build mobile responsive web apps, for example, and others have taken our pre-built templates and further built out executive dashboards in Excel. 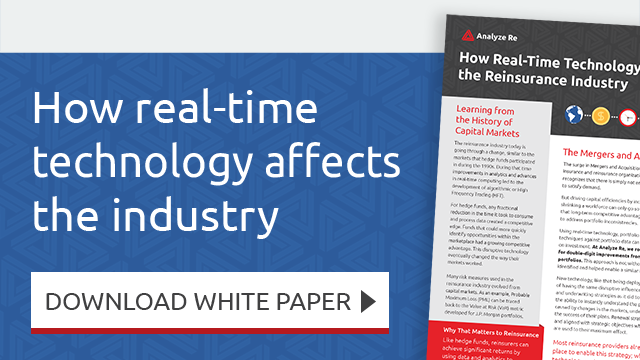 Analyze Re enables reinsurers to leverage our toolkit and customize it to their unique needs. Build vs. Buy vs. Hybrid; What Choice Is Right for You? At AIR Envision Los Angeles 2018, we asked attendees (reinsurers, brokers, insurers, and others across the reinsurance value chain) this very question! What we found is that 70% of attendees believe that a hybrid is the best approach, with the remainder split between build (14%) and buy (16%). Of course, these choices are not always mutually exclusive. In some cases, a reinsurer may need a combination, wishing both to buy an off-the-shelf offering as well as build their own. The good news is that hybrid offerings are often flexible enough to connect an off-the-shelf solution with the hybrid internal tool you’ve built. The question is, will you limit yourself solely to building or buying, or will you leverage the competitive advantages that come with a hybrid? What has your experience been with developing an internal reinsurance analytics system? Send a note to info@analyzere.com or chat with us by tweeting @analyzere.